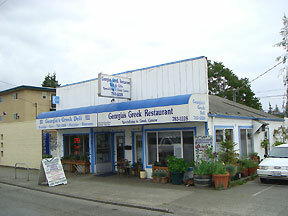 Georgia's Greek Restaurant and Deli on 85th street in Seattle's Ballard neighborhood was first opened in 1991. All ages are welcome; Our restaurant has been a source of inspiration for Greek food, music, and dancing. Most likely you will catch the owner, Lakis Kazakos, dancing a "zebekiko" or leading a "sirto" dance. Georgia's is a destination restaurant for everyone who wants to enjoy the best of life with the whole family.